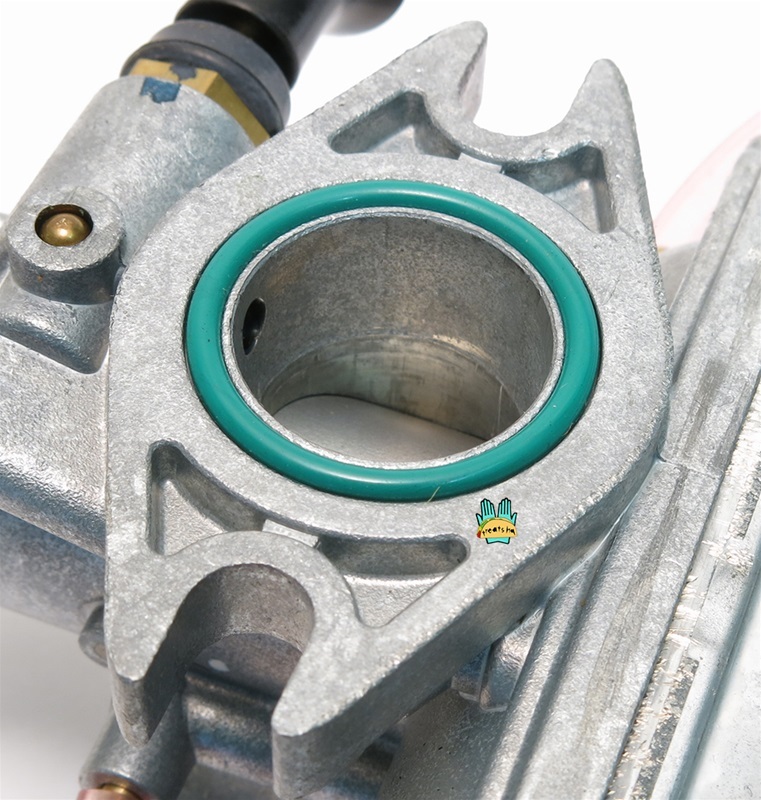 replacement green viton o-ring for the mikuni VM20 carburetor! 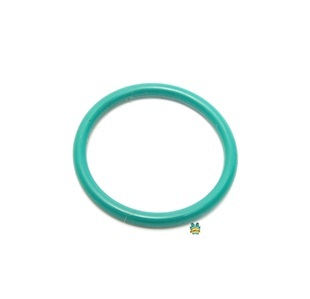 this o-ring is much better than the original one that comes with the VM20 because it is a hair thicker and actually fills out the o ring groove on the carb much better than the stock one. check the photos! 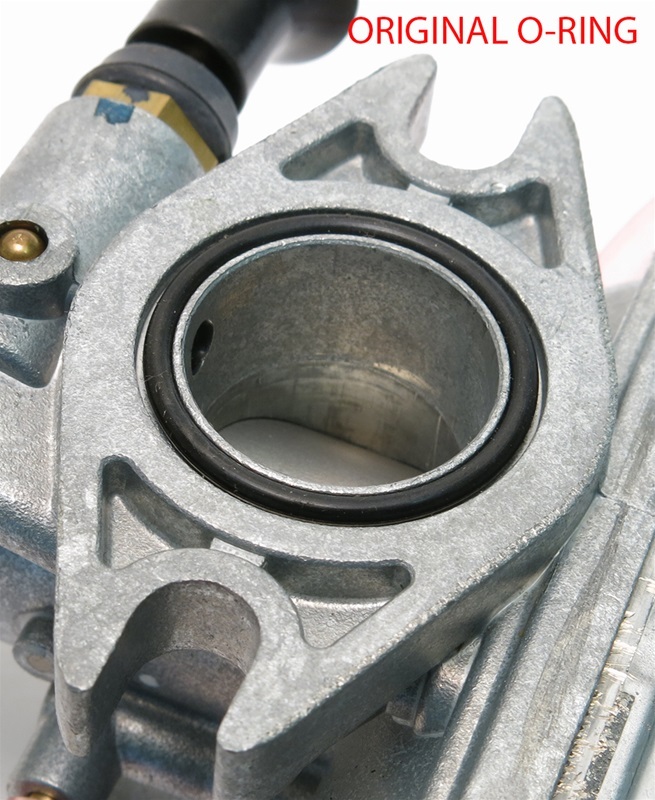 Yah its like better than the original plus its hella cheap, and who doesn't want a nice green rubber ring wrapped around around their big, girthy... carburetor. Fits nice the photos don't lie.